You urgently need the results of your diamonds or jewelry? IGL has a special three tracks for diamonds which require urgent processing. 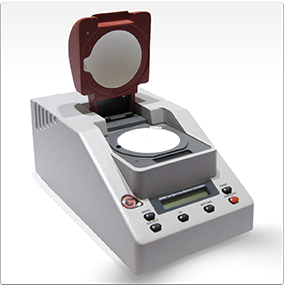 D-Scope We use the Gran Colorimeter. Manufactured in Israel by the leader and innovator in diamond spectral analysis, The Gran Diamond Colorimeter, uses full spectral analysis to color grade loose diamonds from .20 to 10 carats. The Colorimeter measures from D to fancy intense color grades and indicates the tints and hues of the diamond. Using the Gran Colorimeter is another way Arthur's guarantees you the most precise accuracy in grading your diamond. 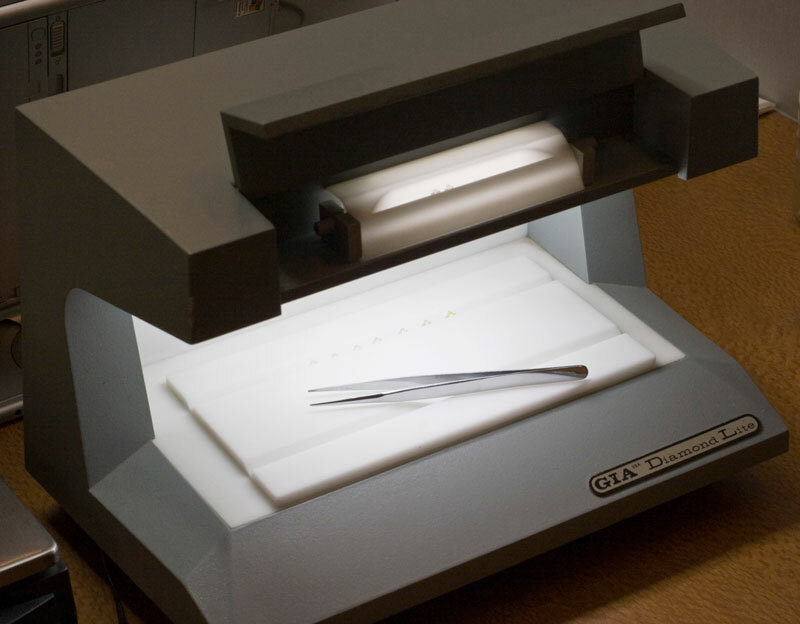 IGL has an extensive experience in researching, examining and grading diamonds which we fully used during the development of our own analysis tool: the diamond microscope D-Scope. This tool has constantly been evaluated and refined throughout the years in order to optimise the analysis of diamonds. An optical fibre is a cylindrical waveguide transmitting light along its axis, by the process of total internal reflection. The fibre consists of a core surrounded by a cladding layer, both of which are made of dielectric materials. Optical fibres are commonplace in providing illumination, and are used as light guides in many applications where a bright light needs to be shone on a target without a clear sight path. "Gem Diamond Lite", which along with color grading lighting produces the long-wave ultraviolet lighting needed to check for the presence of fluorescence. The GXL-24PRO GOLD TESTER? 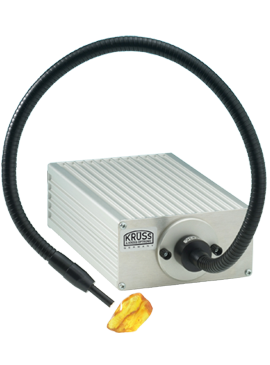 is a high technology professional digital instrument, developed for efficient, non-destructive determination of gold karat values from 6 to 24 karats.